We encourage you to make a plan by playing the Letters to the Next President 2.0 Scavenger Hunt. Join educators from across the country who are making, sharing and reflecting on their plans for supporting the youth they work with in writing letters to the next president — whoever s/he might be — about what matters most to them. Follow the link to the Letters to the Next President 2.0 Scavenger Hunt Playlist. Peruse the list and see what’s involved. Looks pretty fun, right? When you are ready to jump in you will need to Sign Up for LRNG.org; select “National” as your city. Play each XP (otherwise known as experiences :). Show and Prove your completion by following the instructions. Submit for the badge once you have completed all of the XPs. I am Christina Puntel from the Philadelphia Writing Project. 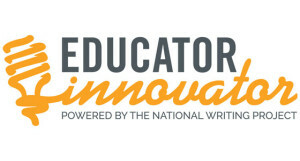 When not playing Pokemon-Go, I teach Spanish and English at high schools in Philadelphia and am spending this summer working for the National Writing Project as the Educator Innovator Fellow. Looking forward to playing, and planning, with you!